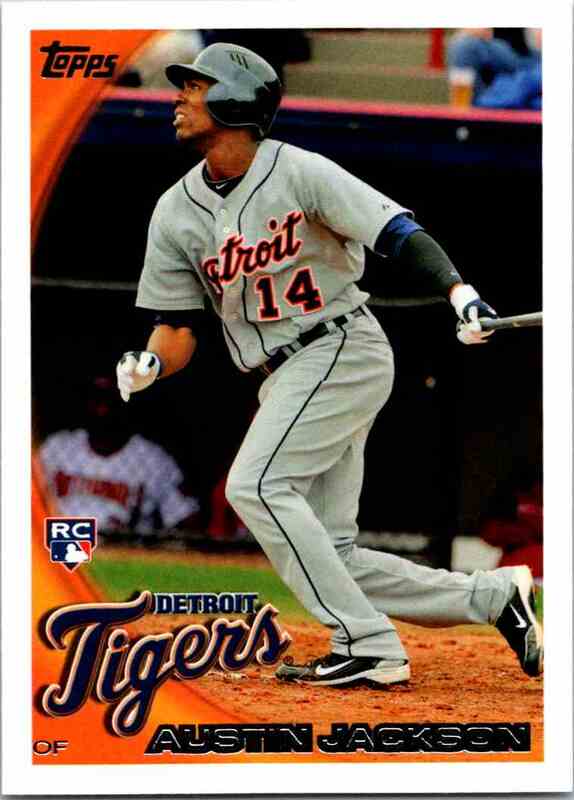 This is a rookie Baseball trading card of Austin Jackson, Detroit Tigers. 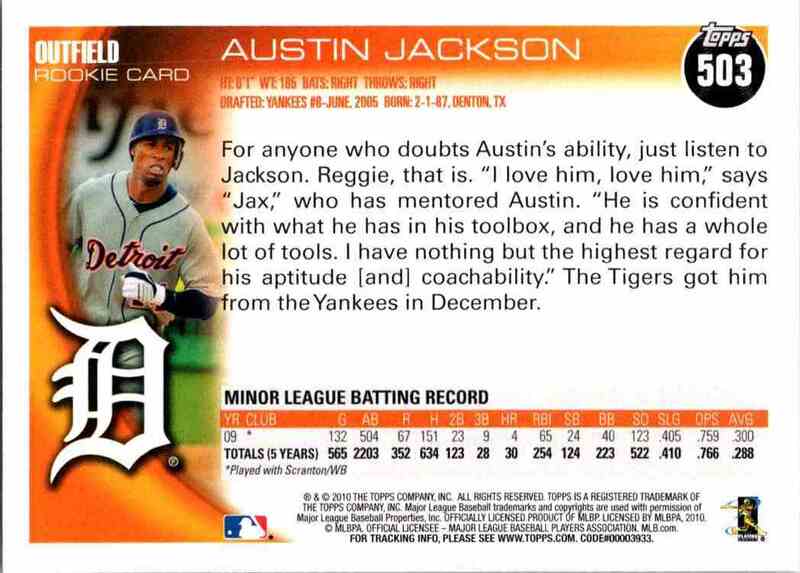 It comes from the 2010 Topps set, card number 503. It is for sale at a price of $ 1.00. Returns accepted within 14 days. Buyer pays the shipping. Cards must be returned in the same condition they were received. Follow us on facebook at https://www.facebook.com/808sportscards/ and follow us on twitter https://twitter.com/808sportscards1. Shipping is $3 anywhere in the US and we combine so it's best when ordering to order in bulk to get the most for your money.